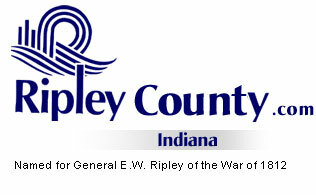 The Ripley County Council met on Tuesday, November 15th, 2005 at the Ripley County Annex in Versailles, Indiana. Don Dunbar, Council President called the meeting to order promptly at 7:00 PM with the pledge allegiance to the flag. Council Members Dephane Smith, David Simon, Edward Armbrecht & Donald Dunbar were in attendance. Ben Peetz, Mark Busching & William Dramann were not in attendance. Council President Dunbar suggested that the council meet on the 2nd Tuesday of December instead of the third Tuesday and that the council not have a meeting in January 2006. Council Member Smith made a motion to move the meeting in December to the 2nd Tuesday of December instead of the Third Tuesday seconded by Council Member Simon. Motion approved by those present (Dunbar, Simon, Smith & Armbrecht). Council Member Smith made the motion to approve the minutes of the October 18th, 2005 meeting seconded by Council Member Armbrecht. Motion approved by those present (Dunbar, Smith, Simon & Armbrecht). Council Member Armbrecht made a motion to approve the additional appropriation of $450 for Bill Davison, Ripley County Sheriff from Fund # 524-25700-000-524/Garage & Motors for Emergency/ Gas Award received from Criminal Justice Institution seconded by Council Member Simon. Motion approved by those present (Dunbar, Simon, Smith & Armbrecht). Council Member Smith made a motion to approve the additional appropriation of $8,266 for Kelly Vollet, Ripley County Technology Department from Fund #526-36105-000-526/Rising Sun Regional Foundation Fiber Cable Grant /redundant fiber cable to be installed between the Ripley County Annex building and the Ripley County Jail seconded by Council Member Simon. Motion approved by those present Dunbar, Simon, Smith & Armbrecht). Council Member Smith made a motion to approve the following transfers for Mary Ann McCoy, Ripley County Auditor of $75 from Fund #100-32200-000-004 Dues to Clerical/Fund #100-11600-000-004/$166 from Mileage Fund# 100-32700-000-004 to Clerical Fund #100-11600-000-004 and $500 from Meeting Fund #100-32800-000-004 to Clerical Fund #100-11600-000-004 seconded by Council Member Armbrecht. Motion approved by those present (Dunbar, Simon, Smith & Armbrecht). Public Hearing was held to confirm the resolution No. 2005-11 declaring a certain area in Adams Township, Ripley County, Indiana an Economic Revitalization Area and application for tax abatement made by Ertel Cellers Winery, LLC. Batesville, Indiana that applies to 3.990 acres of land in Adams Township. Council Member Smith made a motion to move forward with the resolution and give the 10 year abatement to Ertel Cellars seconded by Council Member Simon. Motion approved by those present (Dunbar, Simon, Smith & Armbrecht). Council Members signed the Resolution Confirming Resolution No. 2005-11, Declaring a Certain Area in Adams Township, Ripley County, Indiana, An Economic Revitalization Area for Purposes of Real Property and Personal Property Tax Abatement. Pam Sanders, Economic Development Director advised that they are presently working with the town of Osgood & a company on a price for the old US Shoe Factory Building in Osgood. Council President Dunbar suggested that some of the expense fund be removed from the monthly financial sheet and was advised by Auditor McCoy that they have talked to the state board of accounts on this matter. Council Members Armbrecht & Smith advised that they had meet before the meeting on the Show mobile project and that they would like to met with the Park Board/Mr. Neal and get some more information. Council Member Simon made a motion to adopt the Resolution, Setting the County Mileage Reimbursement Rate to forty cents ($.40) per mile effective October 1st, 2005 and further resolved that the county mileage reimbursement rate shall automatically adjust to the mileage reimbursement rate set by the State of Indiana seconded by Council Member Smith. Motion approved by those present (Dunbar, Smith, Simon & Armbrecht). Auditor McCoy advised the council members present that they need to look at adopting an ordinance setting the CEDIT HSC Rate either at a Uniform rate or an Allocated rate before December 31st, 2005. Grant Committee-Donald Dunbar – 3 or 4 grants are out for this round. Solid Waste District – Donald Dunbar – Meeting Thursday Night, Nov. 17th. Council Member Simon made a motion to adjourn until the next regular meeting on Tuesday, December 13, 2005 @ 7:00 PM seconded by Council Member Smith. Motion approved unanimously.